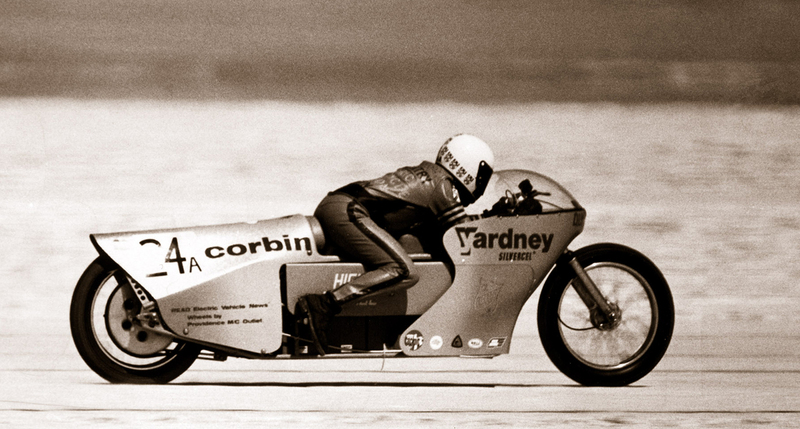 In the world of electric vehicles, the Corbin name is associated with many firsts. 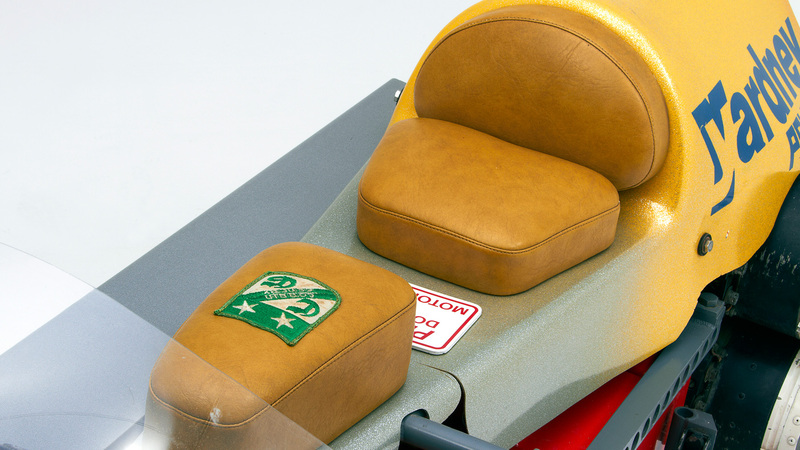 Quicksilver was the first e-bike to top 100mph, using lead-acid batteries in 1973. Yardney then provided powerful silver-zinc batteries (used in nuclear submarines), but Corbin had to ‘borrow’ $100,000 worth of silver from a Navy vault to complete them. In 1974, Quicksilver took a two-way average of 165.397mph at Bonneville, an electric motorcycle record that stood for 38 years! EVs owe a huge debt to Mike Corbin, whose pioneering work in the 1970s proved e-bikes could climb mountains and fly over the salt. Clearly setting a land speed record so robust that it stood for over three decades is an achievement of which Mike is very proud. Considering he has always been a strong proponent of electric powered vehicles, it makes it that much more near and dear.